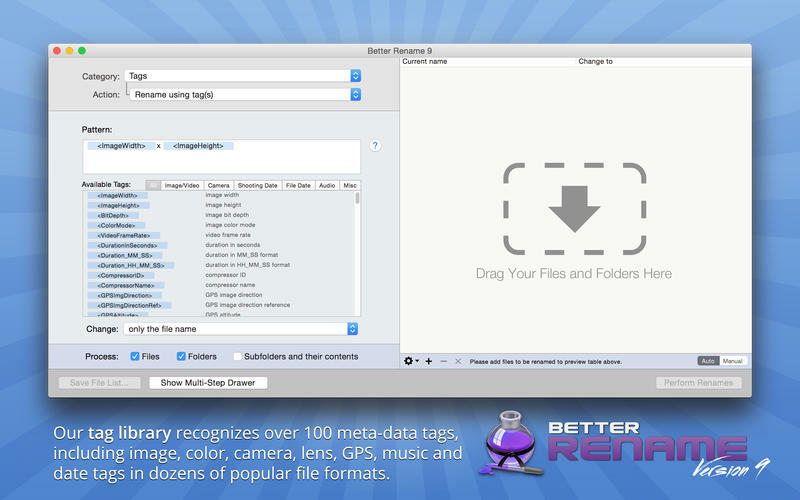 Better Rename’s user interface supports complex renaming tasks without sacrificing ease and speed of use. Simply drag the files you want to rename straight from the Finder into the large preview table or the application icon.. or use our Finder context menu and hot key. 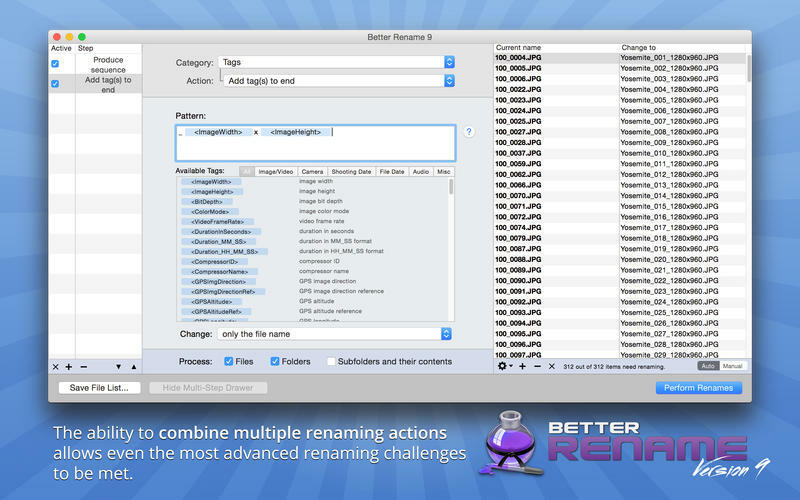 Better Rename takes file renaming to a new level of sophistication by introducing an advanced 64-bit multi-threaded renaming engine that solves many problems that other file renamers simply leave unaddressed. The database-backed renaming engine automatically resolves file name conflicts using a range of configurable parameters and prevents deadlocks. We care about such things so that you don’t have to.